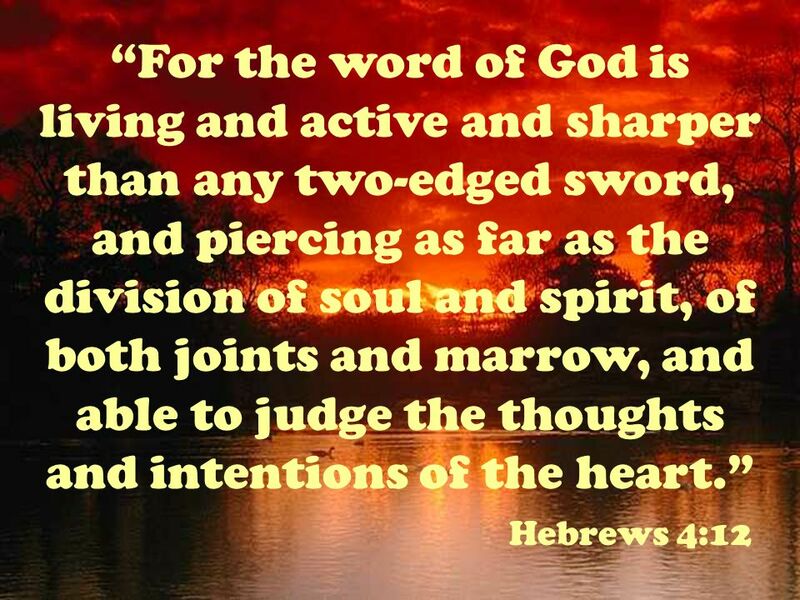 “For the word of God is living and active and sharper than any two-edged sword, and piercing as far as the division of soul and spirit, of both joints. 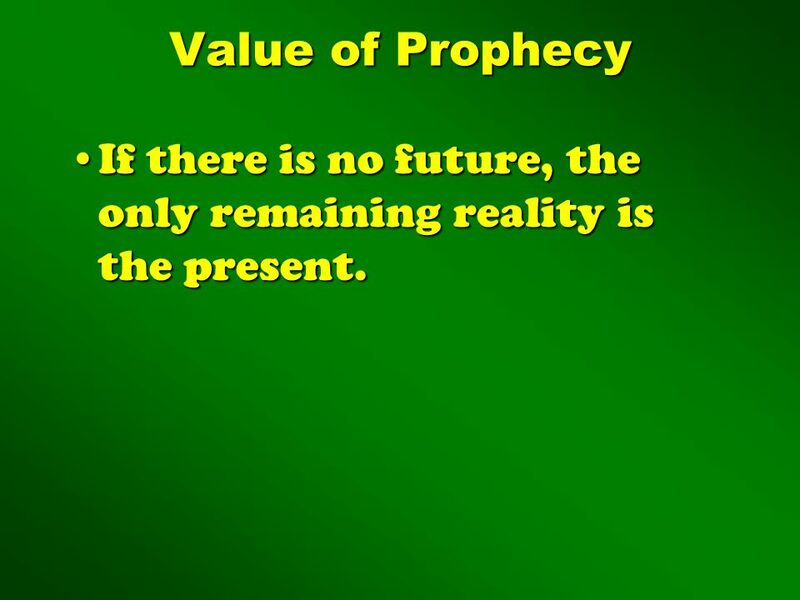 3 Value of Prophecy If there is no future, the only remaining reality is the present. 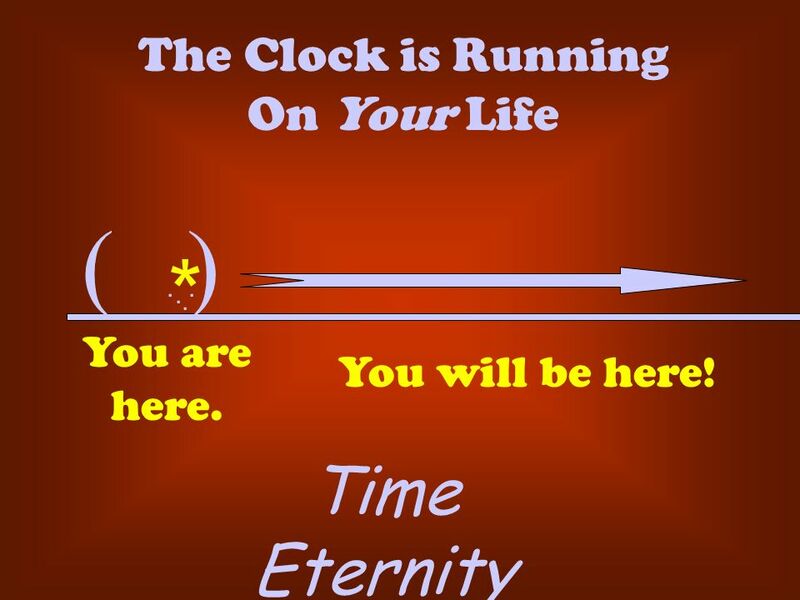 7 Only one life, ‘Twill soon be past. 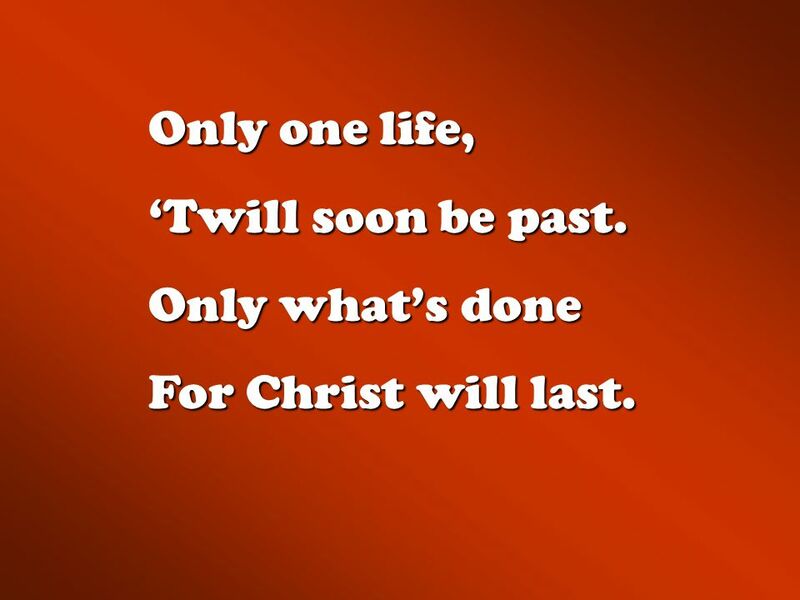 Only what’s done For Christ will last. 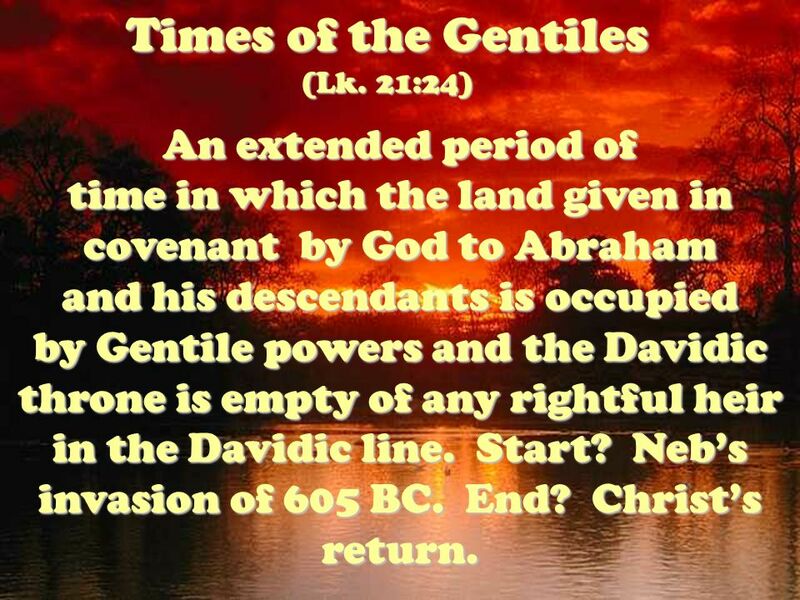 An extended period of time in which the land given in covenant by God to Abraham and his descendants is occupied by Gentile powers and the Davidic throne is empty of any rightful heir in the Davidic line. Start? 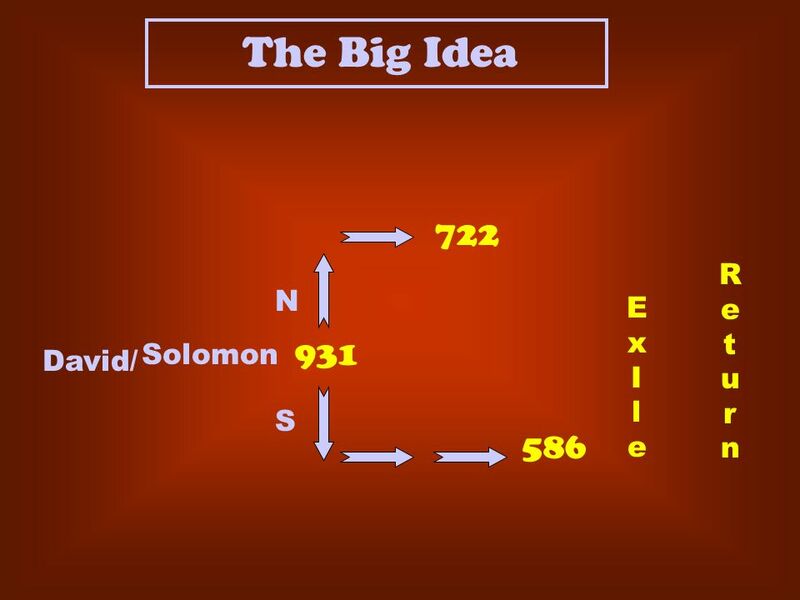 Neb’s invasion of 605 BC. End? Christ’s return. 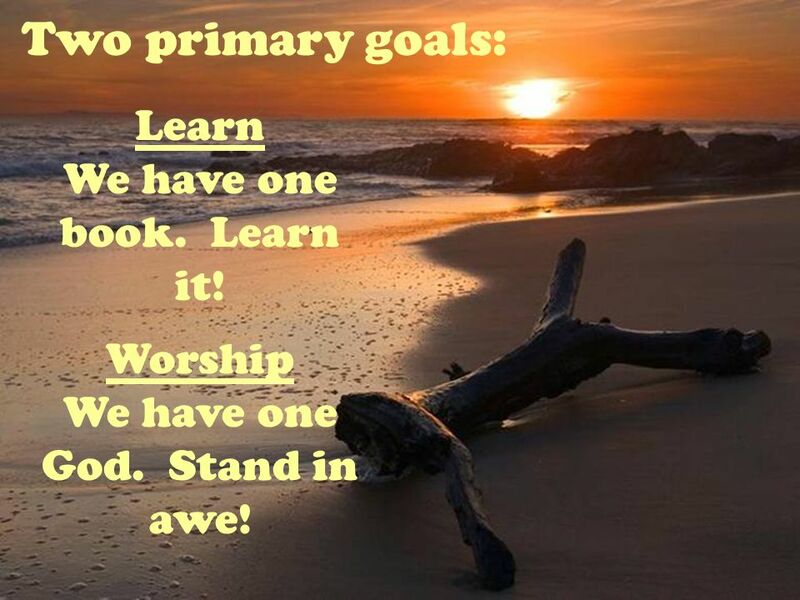 21 Two primary goals: Learn We have one book. 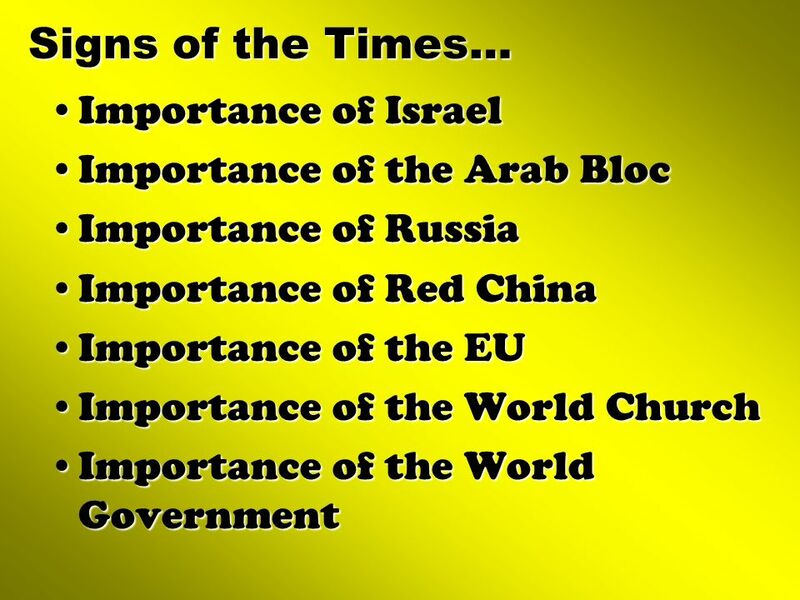 Learn it! Worship We have one God. Stand in awe! Download ppt "“For the word of God is living and active and sharper than any two-edged sword, and piercing as far as the division of soul and spirit, of both joints." 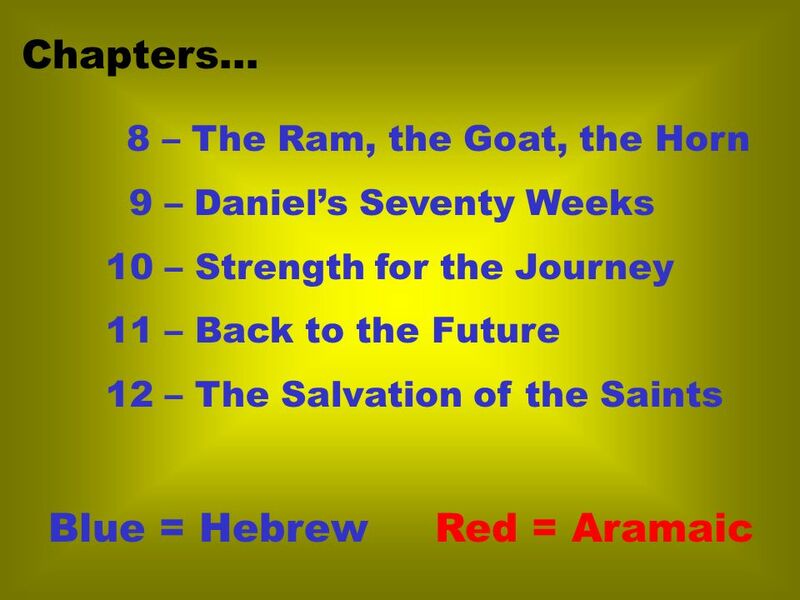 Introduction to the Bible. 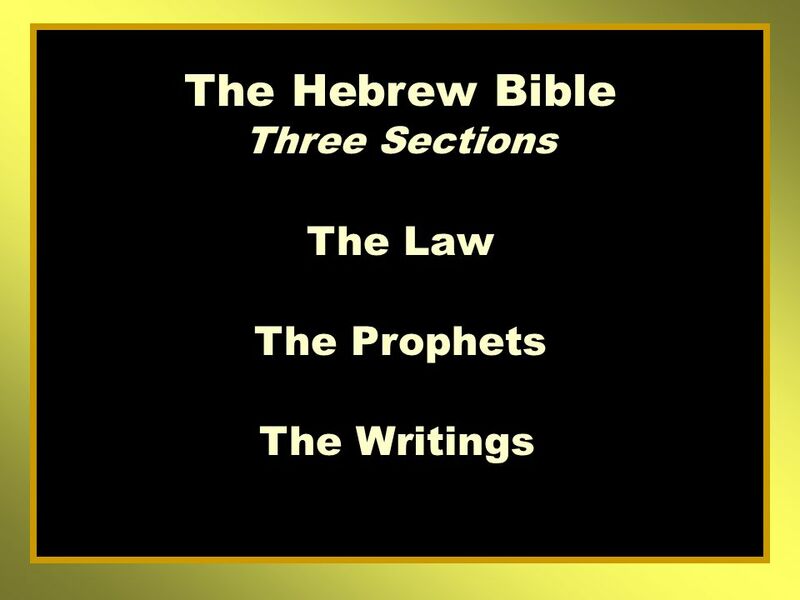 Old Testament New Testament The Bible consists of two parts:the first part is the Old Testament; the second part is the New. 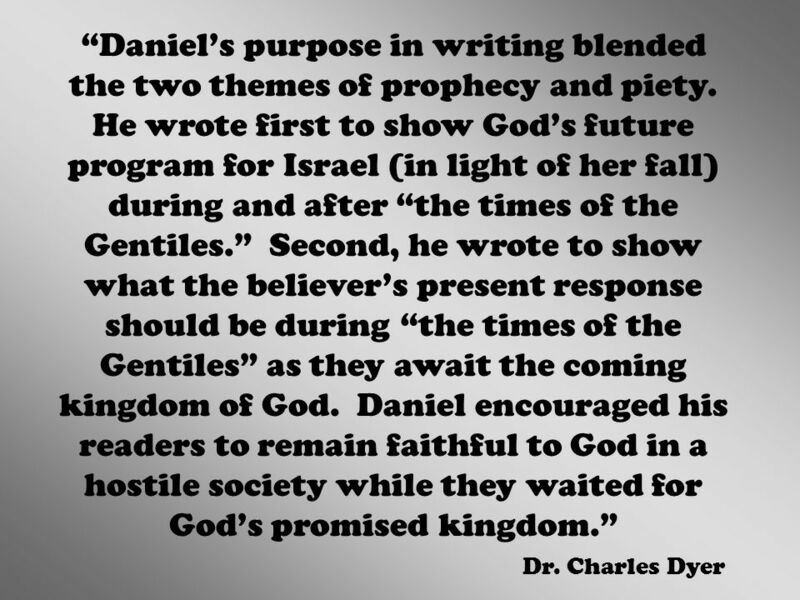 The King, His Kingdom and You 2 Samuel 7:12-13 Psalm 2 Daniel 7:13-14. 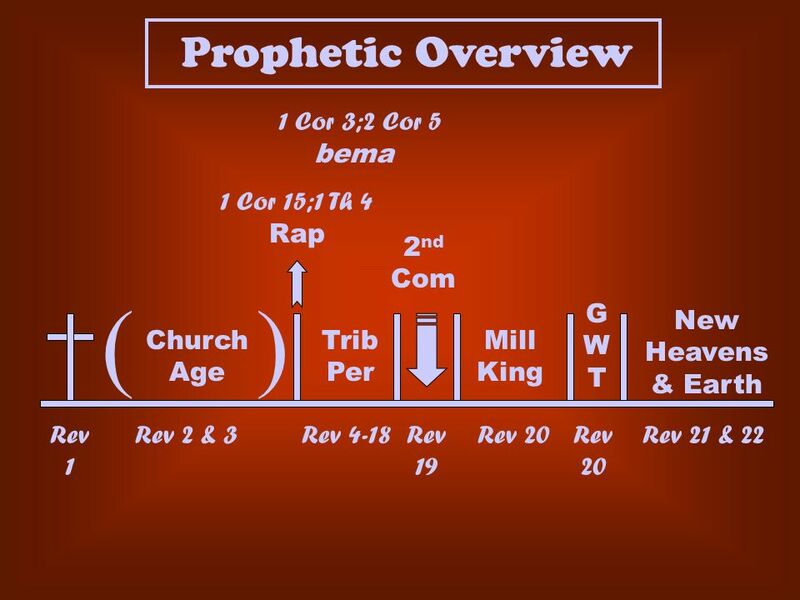 How the Bible Came to Us Overview of the OT. 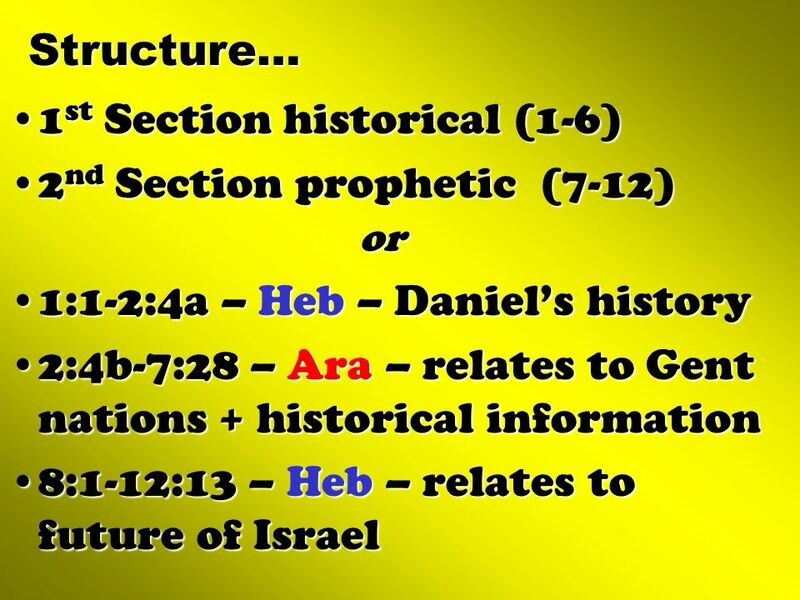 Arrangement of the OT in English and Hebrew English –Pentateuch (Genesis to Deuteronomy) - 5 –Historical. 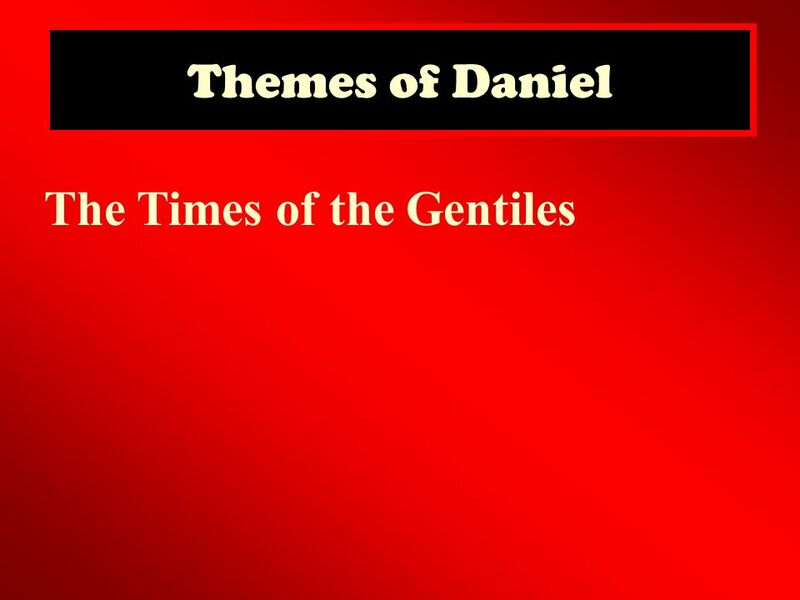 Annual Family Retreat May The Pentateuch: 1 st 5 books of the bible Genesis, Exodus, Leviticus, Numbers, and Deuteronomy. Written. 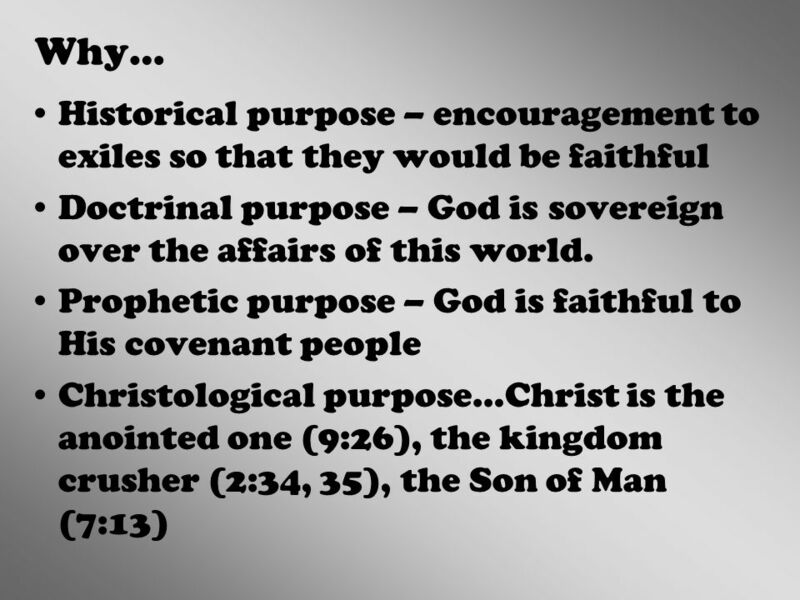 Christology wk 3. slides endangeredminds.wordpress.com. 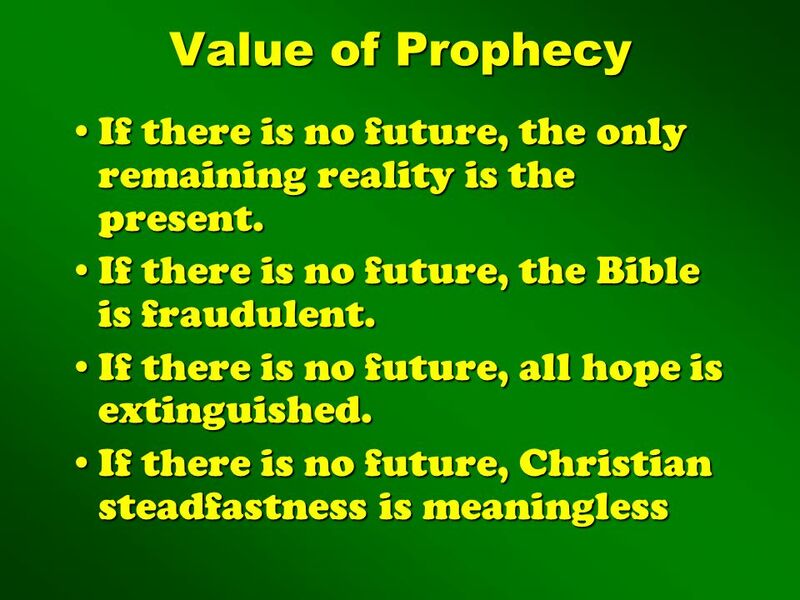 2 Timothy 3: Man believes the Bible is lacking Abundance of Human Creeds –T–The Bible is not all we need if these exist Acceptance of Modern Revelations. Lesson 18: God’s Use of the Word “The” in the Book of Acts Please pick up a handout from the table in the back of the auditorium for class this morning. 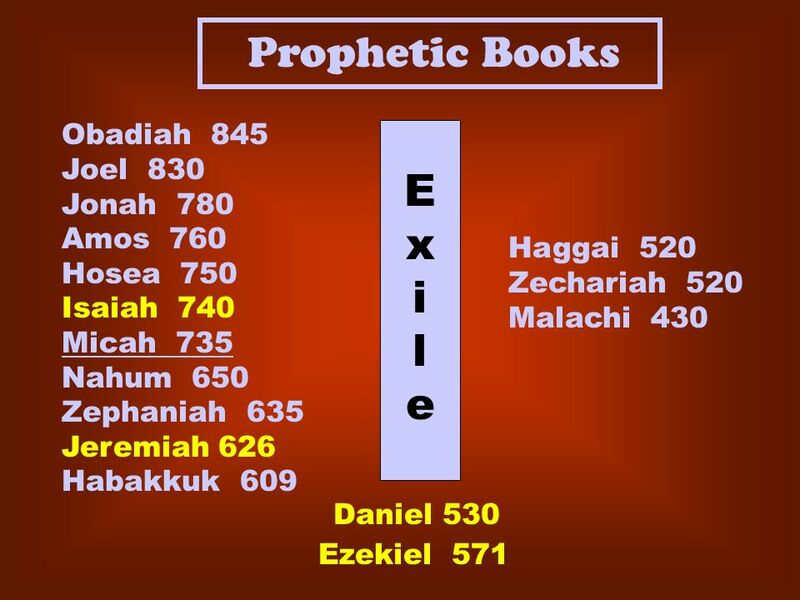 Is The Bible A Sufficient Guide In Religion ?. 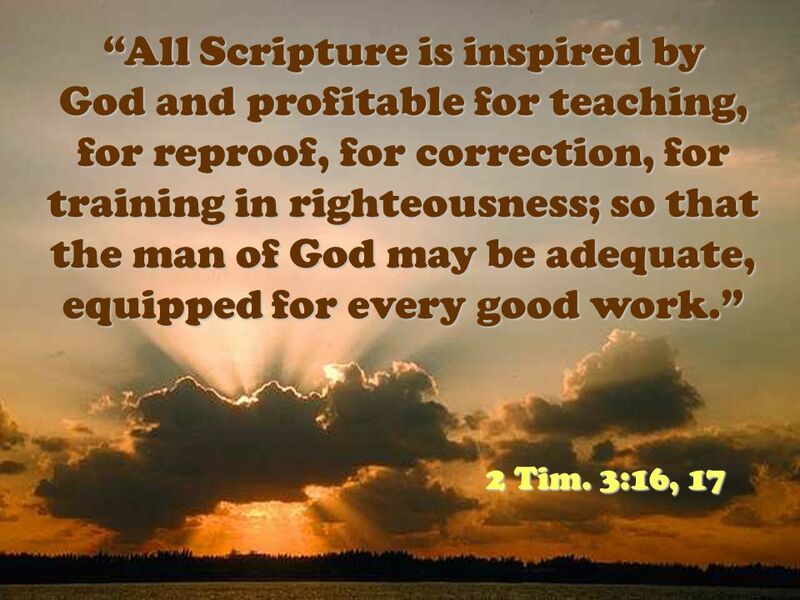 2 Timothy 3: All Scripture is given by inspiration of God, and is profitable for doctrine, for. Please take this time to silence your cell phone. 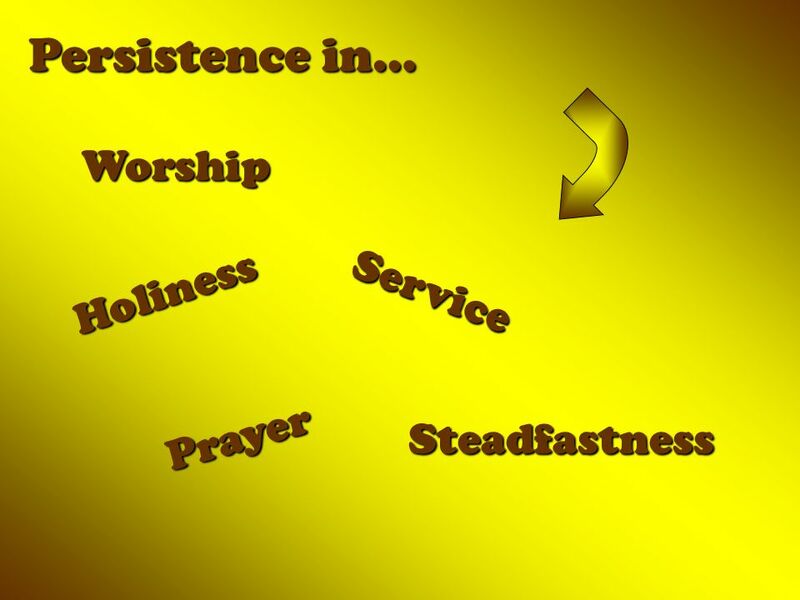 Running the Race: Lessons from Paul for Today’s Woman. Annual Family Retreat May John has just finished grade 9, his averages were excellent. John has just finished grade 9, his averages were excellent. EQUIP BIBLE STUDY SESSION 1. 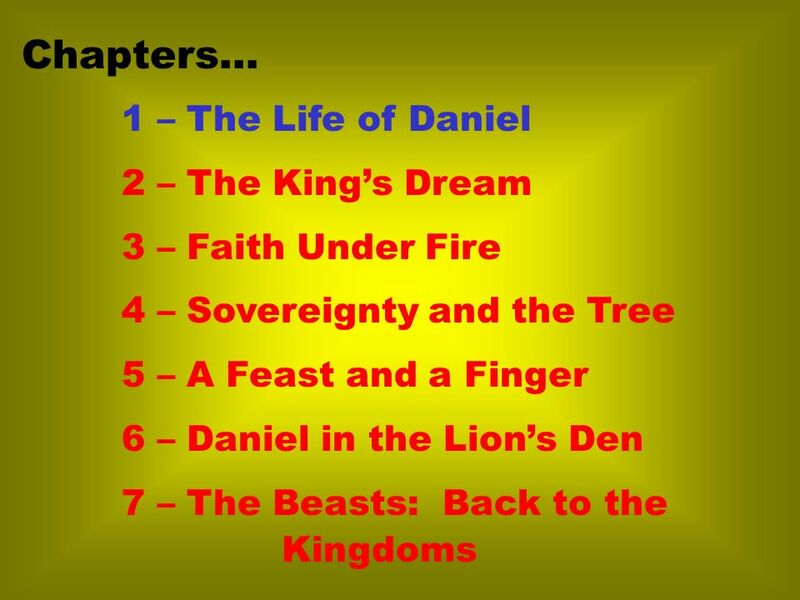 FOUNDATIONS CHAPTER 1.